China and Vietnam claim the whole South China Sea (SCS), while the Philippines, Malaysia, and Brunei claim parts of it. China illustrates its SCS claim with the controversial nine-dash line map. This chapter verifies if China’s claim has basis according to the international norm and free from expansionist ambition; otherwise, it cannot be said defensive realist state. 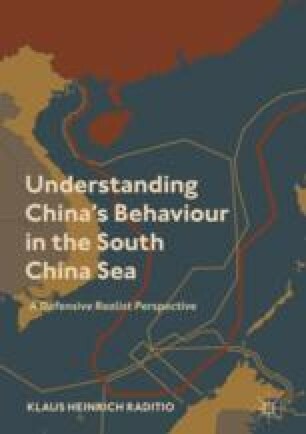 The chapter analyses China’s legal documents regarding the SCS since the 1950s until 2016, particularly in response to the UNCLOS Tribunal ruling—which dismisses China’s nine-dash line. The findings of this chapter are (1) China has strong links with the SCS since ancient times; (2) China has the rights to dispute its claims in the SCS; and (3) based on international law, China’s claim is somewhat shaky.